We seem be be living in an, increasingly, stressful world. We worry about what people are saying on Facebook, Twitter or any other social media outlet. We worry about what people think about us in any circumstances throughout the day. When considering dog owners, I see more and more people out with their dogs showing quite marked levels of stress and worry. Of course, this state has a direct impact on the’re dogs and their quality of life. 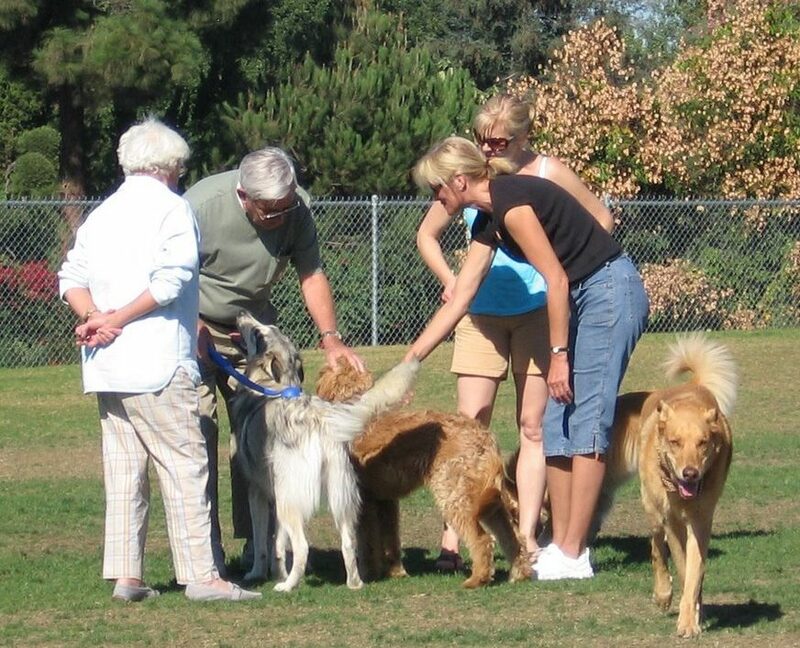 Dog owners are worried that a dog barks too much, is too boisterous, tugs on the lead, etc. The net result is that an outing with the dog is another source of stress to these owners. Dogs are kept away from people and other dogs. Owners keep dogs on lead and, continually rebuke them for the smallest misdemeanor in their eyes. I think there is a need to help owners relax. They need to be able to enjoy going out with their dogs and allow their dogs to be dogs. 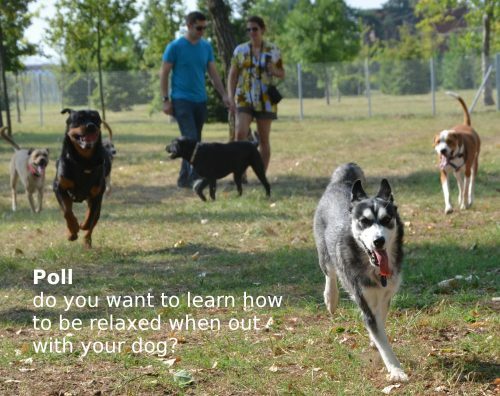 I am developing a course with my wife (First in The Q) aimed at helping people live happily with their dogs. It would be of interest to see what people think. Click on the image below to vote in my poll. Do you think a course would help?